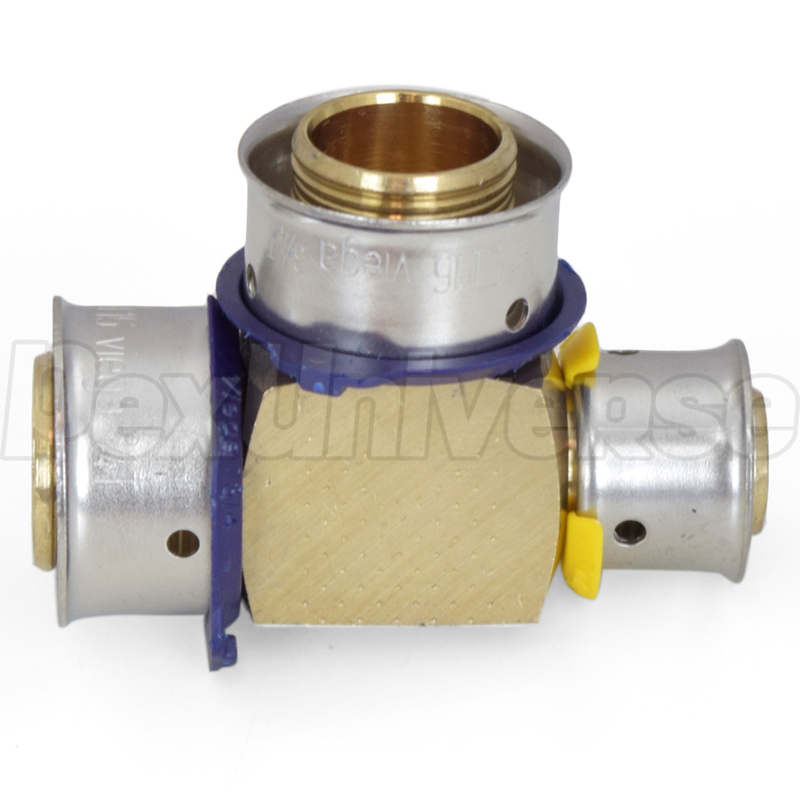 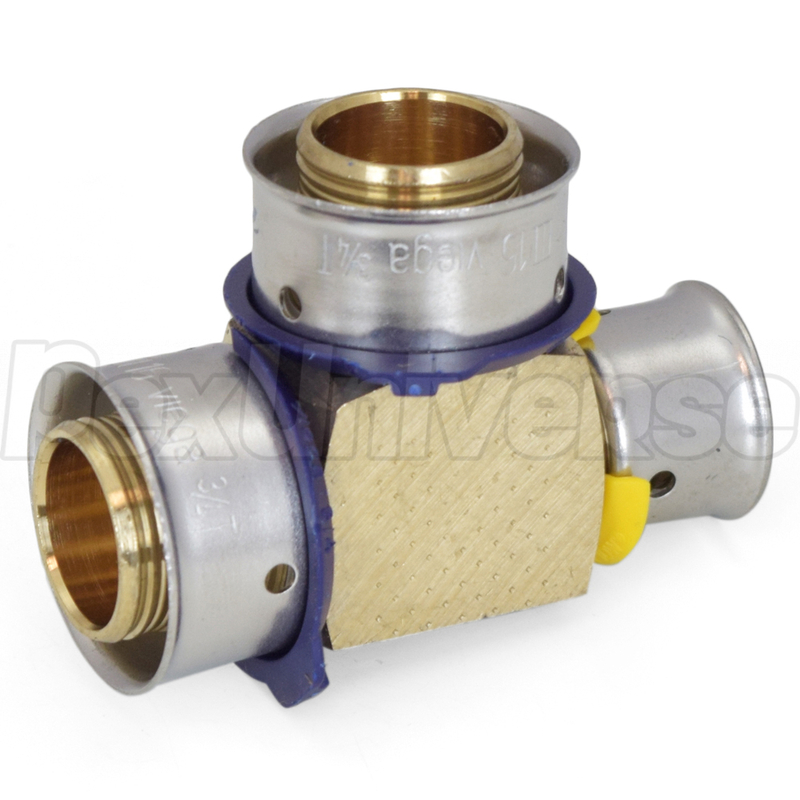 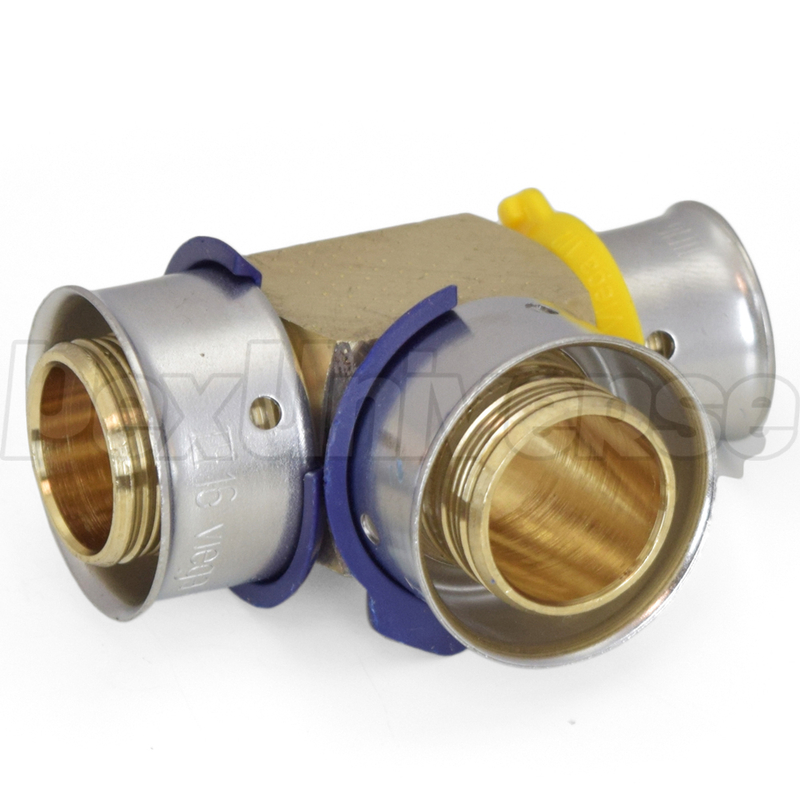 This bronze PEX press tee fitting connects three PEX pipes (3/4" side x 1/2" side x 3/4" top/middle) together in a "T" pattern using Viega press connection method. Compatible with all PEX tubing types (A, B, C) and FostaPEX. Lead-free, approved for potable water use.